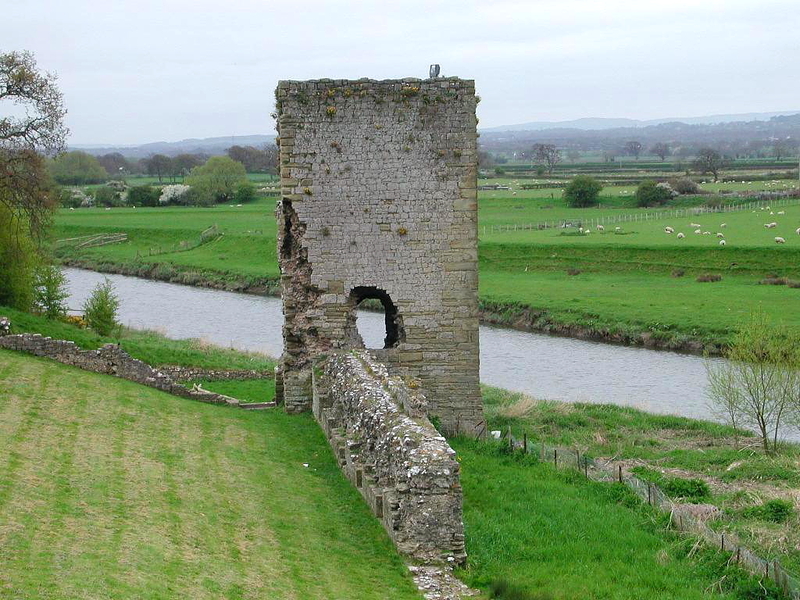 Above: view of the west gatehouse taken from across the river and the Rhuddlan Bridge. 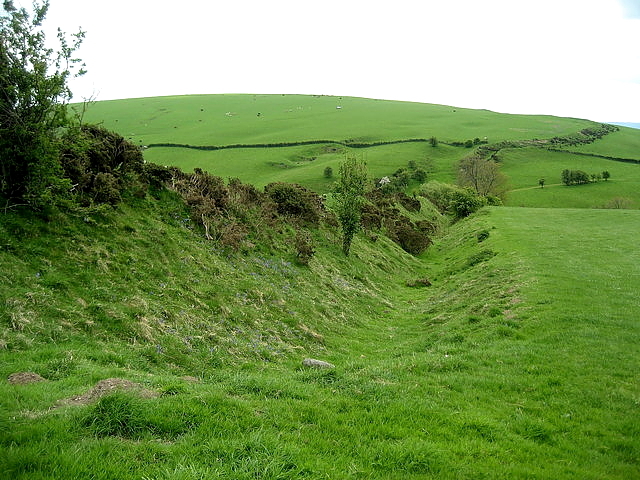 During the reign of King Offa of Mercia (757-96) the great dyke which bears his name (below) was constructed, outlining the beginning of the hill country from Prestatyn to the Bristol Channel and defining the westward limit of English settlement. In 796, the year of Offa's death, the English fighting on beyond the new frontier won a battle at Rhuddlan, and either as a result of it or of a later conquest obtained control of Englefield. The district, the Welsh Tegeingl, preserves in its name the memory of the Deceangli, a Celtic tribe mentioned by the Roman historian Tacitus in the first century of the Christian era. By the time of the coming of the Normans Englefield was restricted to the northern part of the later Flintshire and was dependent on Rhuddlan. Further English operations on the northern frontier are indicated by the death of Offa's successor, Cenwulf, at Basingwerk in 821. The predominately Welsh place-names to the west of Offa's Dyke suggest, however, that Rhuddlan and its outlying manors were not firmly consolidated under English rule. A century later, in the year 921, King Alfred's son Edward the Elder (d.924) established an earth and timber fort or burh at the mouth of the Clwyd, as part of his defence of the north Wales and Cheshire coastlines against Scandinavian raids. 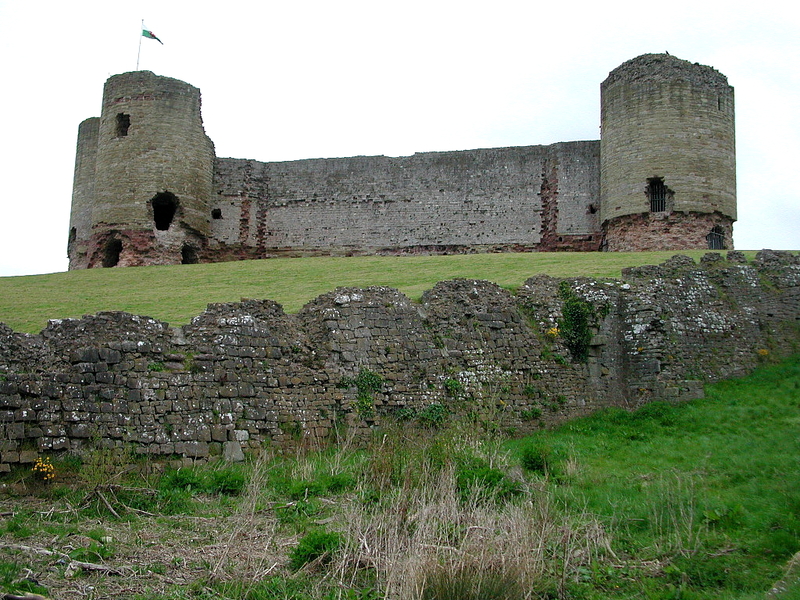 It has been suggested that King Edward's fort was sited close to Rhuddlan itself, and that the banks and ditches which can be traced on the south-east outskirts of the town may have formed part of its earthworks: but this remains uncertain, and it seems more likely that the burh stood close to the river's mouth at a place on the coast now lost, but still known in 1310 as 'Bircloyt'. 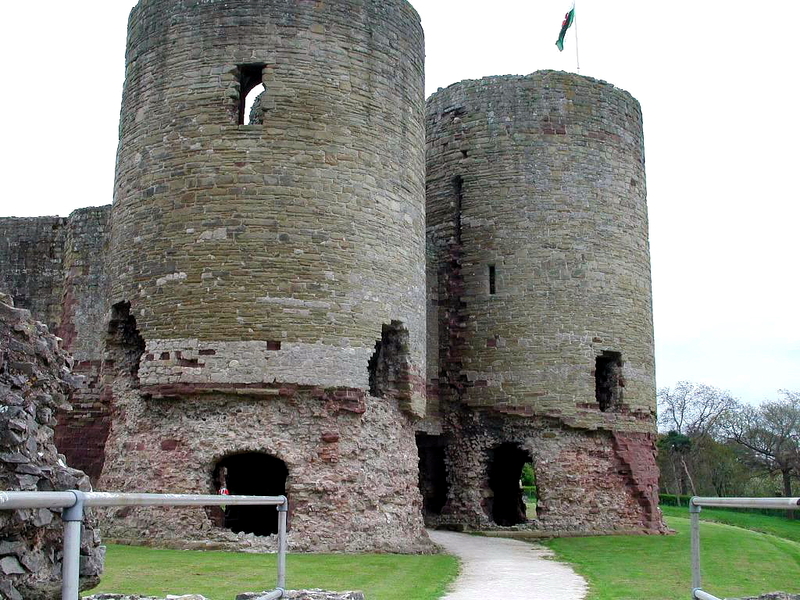 We next hear of Rhuddlan in 1063, it is a royal seat of Gruffydd ap Llywelyn and the base from which that powerful prince (actually considered the last true High King of Wales) plundered the English lands as far east as Oswestry and Wrexham. In that year Gruffydd was driven from Rhuddlan by Earl Harold (Godwinson) and his palace burned. Three years later Harold himself lost the decisive battle of Hastings, and the Welsh had henceforth to contend with the organized might of the most powerful military despotism in Europe. 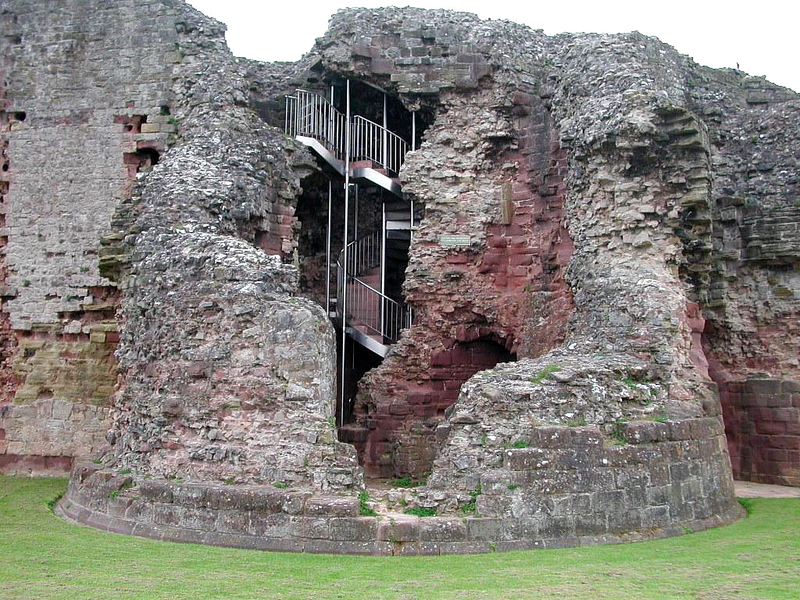 At the command, William the Conqueror, a new castle of the motte-and-bailey pattern, which marked every stage of the Norman penetration, was thrown up at Rhuddlan in 1073 by Robert of Rhuddlan, a kinsman and lieutenant of Hugh d'Avaranches, earl of Chester. Earlier, in the 1050s, Robert had been a squire at the court of King Edward the Confessor, by whom he had been knighted. 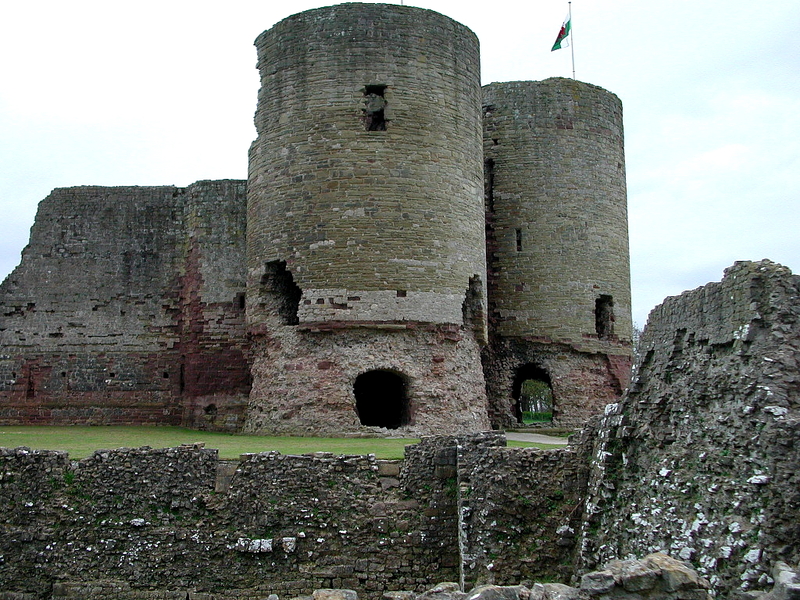 From the Domesday book (1086) we learn that in return for an annual rent of L40, the Conqueror had granted him power over the whole of north Wales beyond the Clwyd; it was in this capacity that Robert made Rhuddlan the base from which he set out to exploit and consolidate the holding entrusted to him by the king in Gwynedd, and from which he also took his surname. He was, as other sources show, one of the lords of first importance in the Conqueror's ruling councils. More interestingly, we know on good authority that it was Robert's father, Humphrey of Tilleul, who was put in charge of construction of the motte at Hastings, seen in progress in the Bayeau Tapestry, immediately after the Normans landed at Pevensey in 1066. 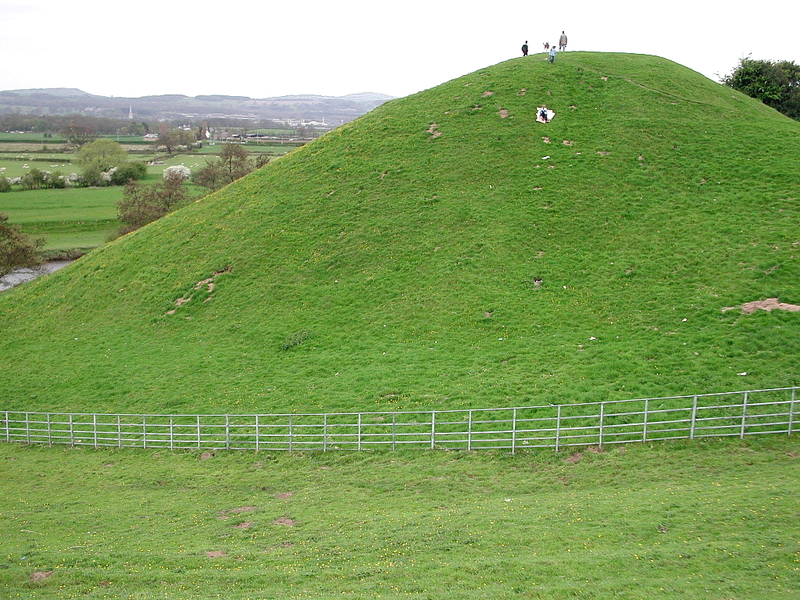 Even to this day, Robert's earthen mound traditionally occupying the site of Gruffydd ap Llywelyn's palace, (below) rises impressively to the south of its 13-century successor, while the outline of its bailey may still be traced in the adjoining fields. From Domesday we also learn that under the lordship of Robert and earl Hugh, a small borough was established beside the castle. 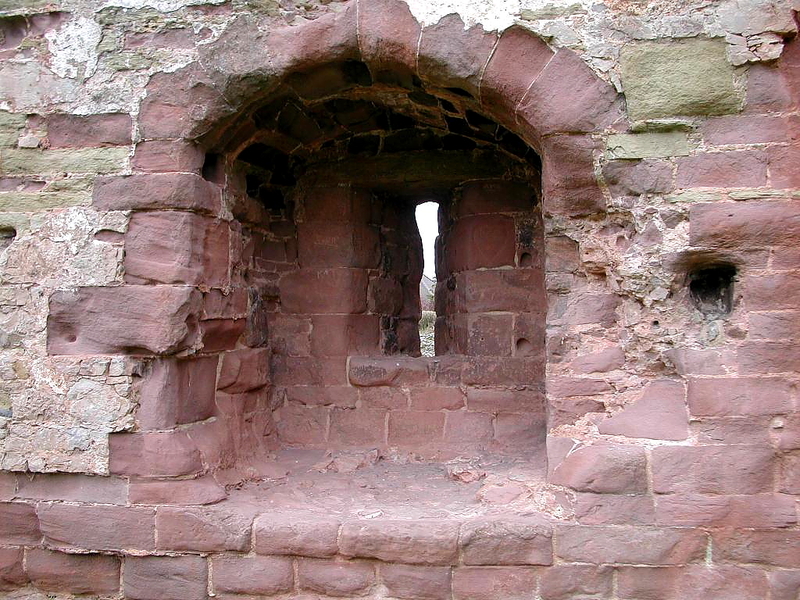 In 1086 its burgesses, 18 in number, had both a church and a mint, and enjoyed privileges and immunities conferred by the laws and customs of Hereford. Silver pennies minted at Rhuddlan late in the reign of the Conqueror and again from c.1180 to 1215, are preserved in museum collections. During the following two centuries the castle and town changed hands many times, as the tide of border warfare favored first the Welsh and then the English. We know little of the development of the castle buildings during these years. A late as 1241-42, the defences, at least in part, were still of wood, and timber-framed buildings occupied the bailey. There is a record in that year of payments for timber to repair the defects in the wooden works, for making cranes, ladders and other necessary implements, and for carrying old wooden works back to Chester; orders are given at the same time for the construction of a wooden chapel in the castle where divine service may be celebrated. 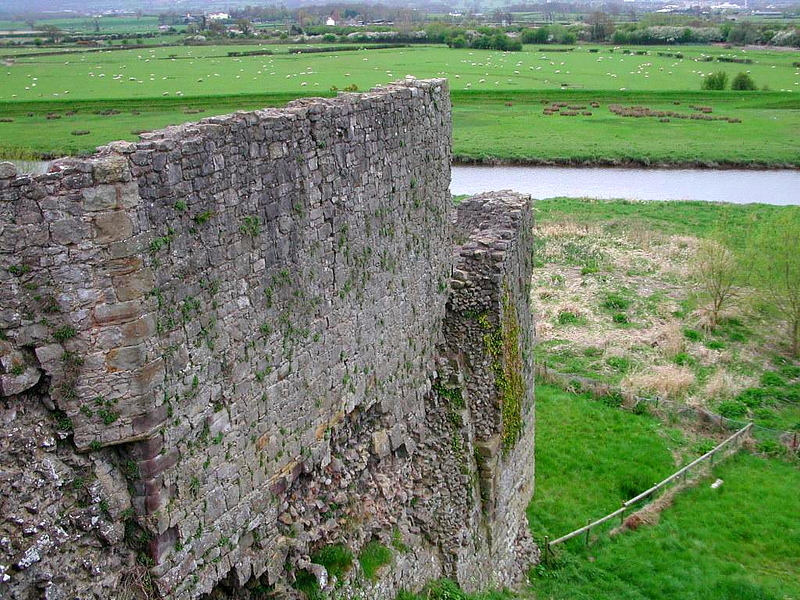 By now the age-old border struggle was about to enter on its last phase, a phase in which Rhuddlan was to assume a new and increased importance. During the reign of Henry III political disunity in England gave Llywelyn ap Gruffydd an opportunity to establish his authority over all the lesser princes of his country. Assuming the title 'Prince of Wales', he won recognition first from the baron's leader Simon de Montfort, and in 1267 from King Henry himself. Llywelyn's fall, as Sir John Lloyd has written, was as spectacular as his rise. Thinking in terms of the Baron's War, he failed to realize the new unity achieved under Edward I, and directly challenged that monarch's power. After two years of forbearance Edward determined in 1276 to obtain Llywelyn's submission by force of arms. 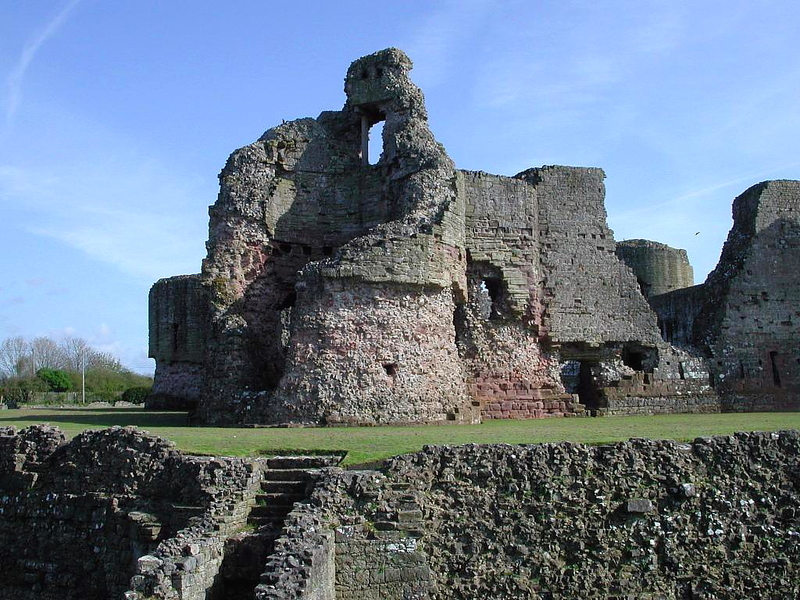 On 22 July 1277 we went forward from Chester and established an advanced base at Flint, where work was immediately started on the construction of Flint Castle. 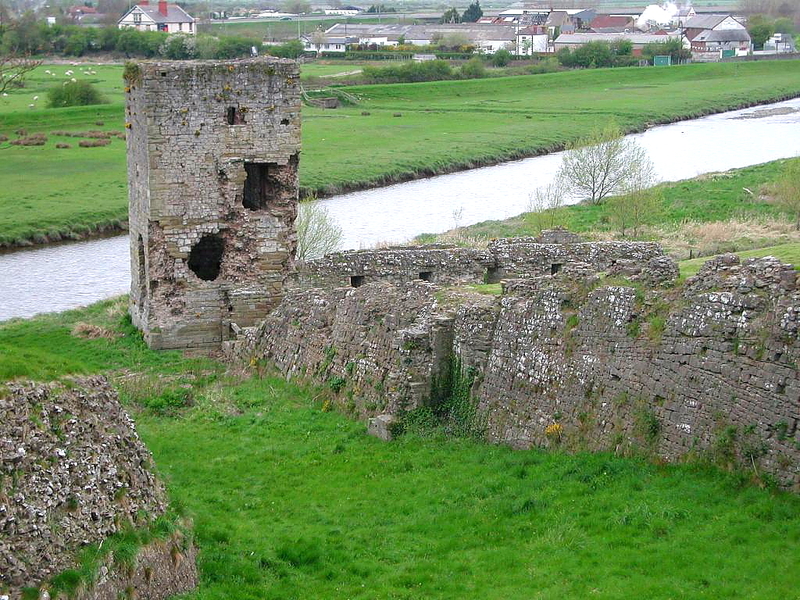 With navel support provided by the 25 ships of the Cinque Ports fleet the army pushed along the coast, and on or about 22 August the king moved his headquarters to Rhuddlan, where we may infer that buildings were still available for use in the old castle. 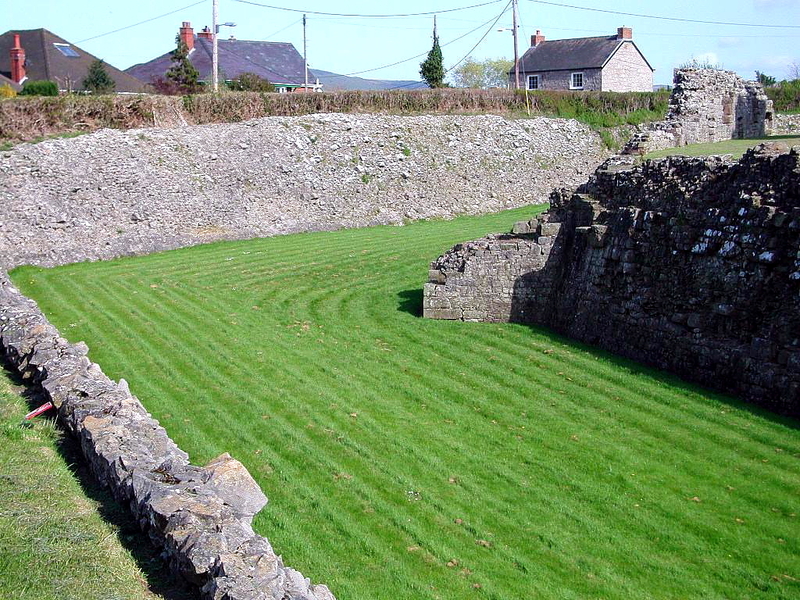 Llywelyn's surrender in the following month brought the war to a successful and perhaps unexpectedly speedy end, though it was not until November that hostilities were formally terminated by the submission of Llywelyn to the king at Rhuddlan. 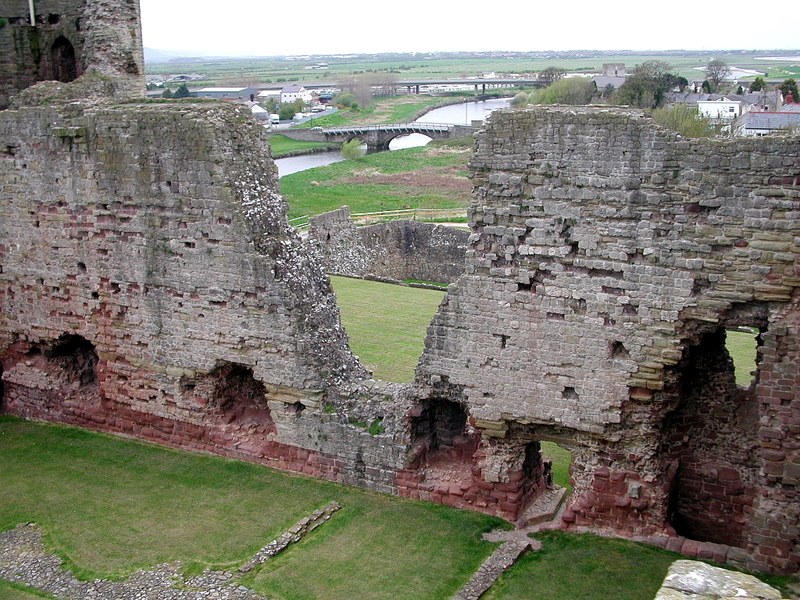 Below: close-up view of the West Gatehouse at Rhuddlan Castle. Meanwhile, under Edward's direction, work was put in hand on the erection of an entirely new stronghold a little to the northwest of Robert of Rhuddlan's motte-and-bailey. Payments for the new operation begin to be recorded on 14 September 1277 and continue without pause until March 1282. In its earliest stage the work was under the control of Master Bertram, a king's engineer who had entered Henry III's service in Gascony in or before 1248. It is to him and the king that we may owe the general plan of the castle, but he was soon superseded by a younger engineer, Master James, better known to us as James of St. George, the future master of the kings works in Wales. 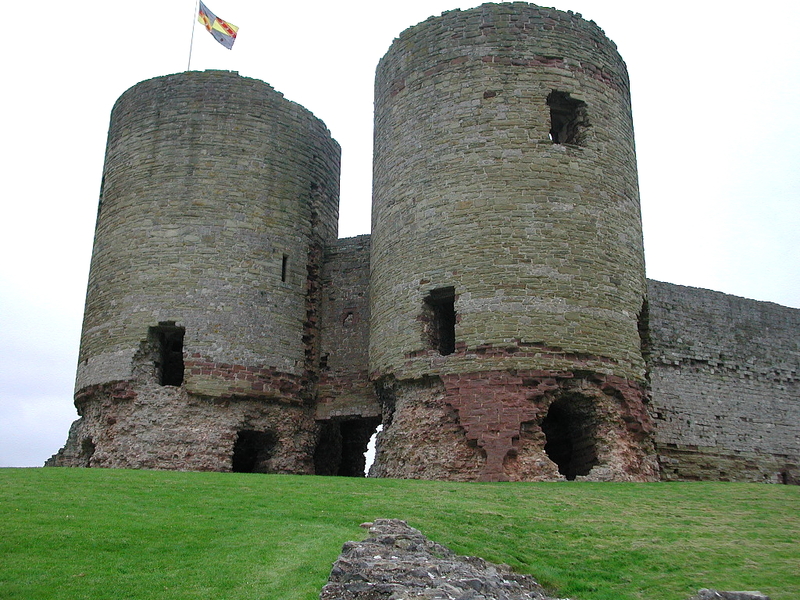 He saw Rhuddlan through to its completion and may thus be regarded as the castle's architect. 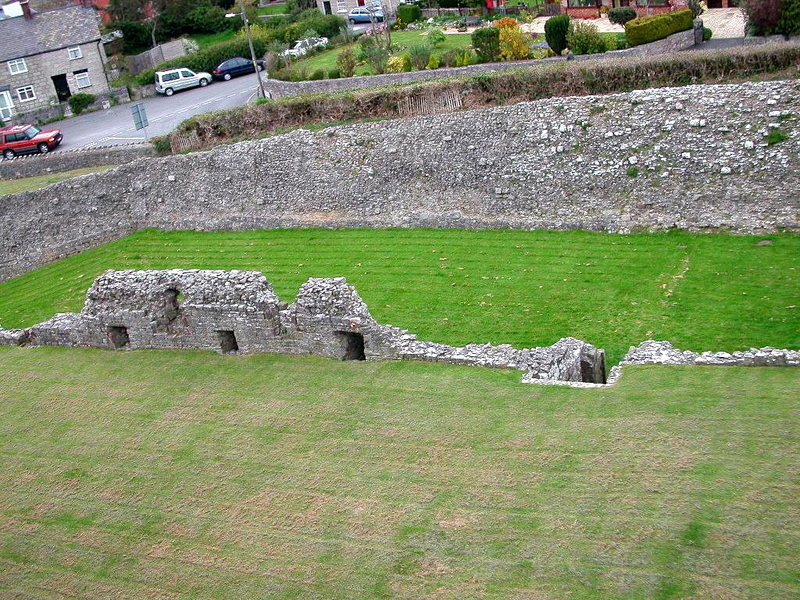 Below: view of the inner ward at Rhuddlan from the South Tower. The castle is concentric in design, consisting of a very strongly defended inner ward, of symmetrical plan, completely surrounded by a slighter outer ward. On the south-west, this fronts the river, but elsewhere, it overlooks an artificial moat, also walled on the outer side, which was dry apart from a short section south of the castle, probably used as a dock. The inner ward is diamond shaped with a singular tower on each of the sharper angles (north and south), and a gatehouse with a double tower on each of the blunter ones (east and west). 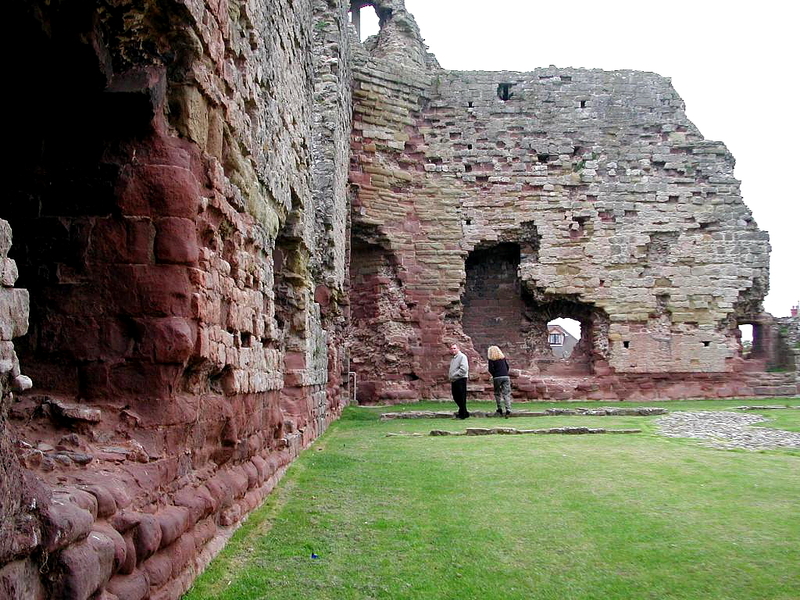 Various buildings, including a great hall, kitchens, private apartments, and a chapel, stood in the inner ward against the curtain wall; some traces remain of their foundations. The outer ward too included a granary, stables, a smithy, the treasury and a goldsmith's workshop, but little can be seen of these buildings today. 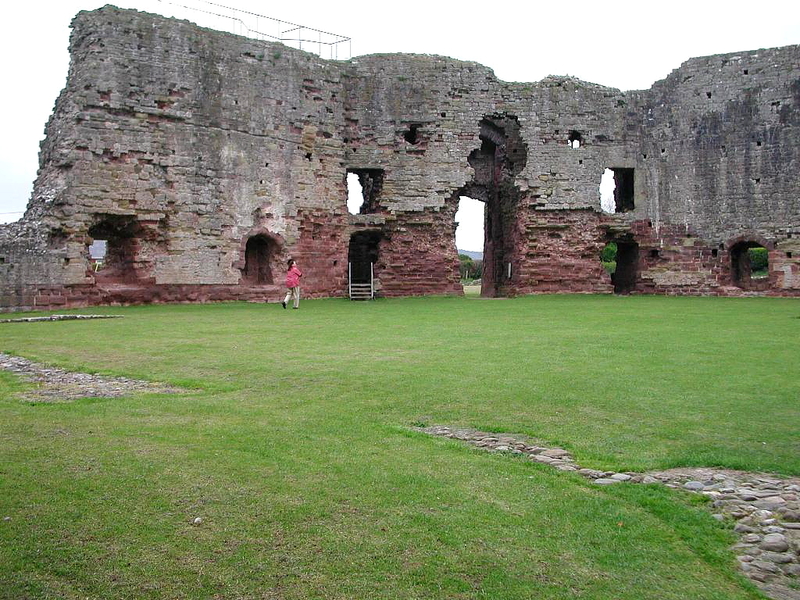 There were four entrances to the castle precinct, later reduced to three. The main entrance, still in use today, is at the north-western end of the moat. Another entrance, the Friary Gate, on the south-east, was soon dismantled. Lesser entrances were provided from the river on the west and the dock on the south-west; the latter, like the dock itself, was overlooked by a tower. 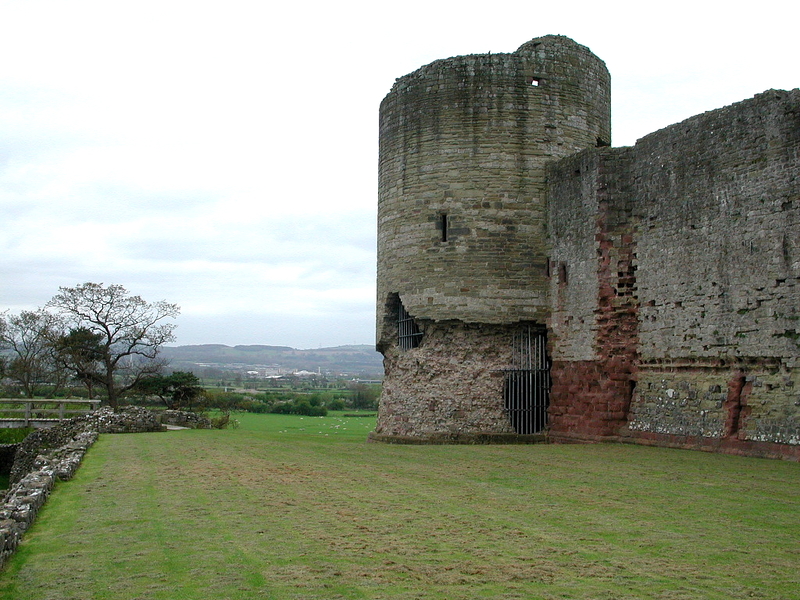 Below: view of the Gillot's Tower which provided access to the castle via the River Clwyd. Edward I laid out his new borough, north of his castle, away from the Norman town and the Friary. The present town largely perpetuates the 13th century plan. The town defences consisted of a pair of banks with a ditch between, as at Flint supporting a timber palisade; stone walls were never provided and probably never intended. 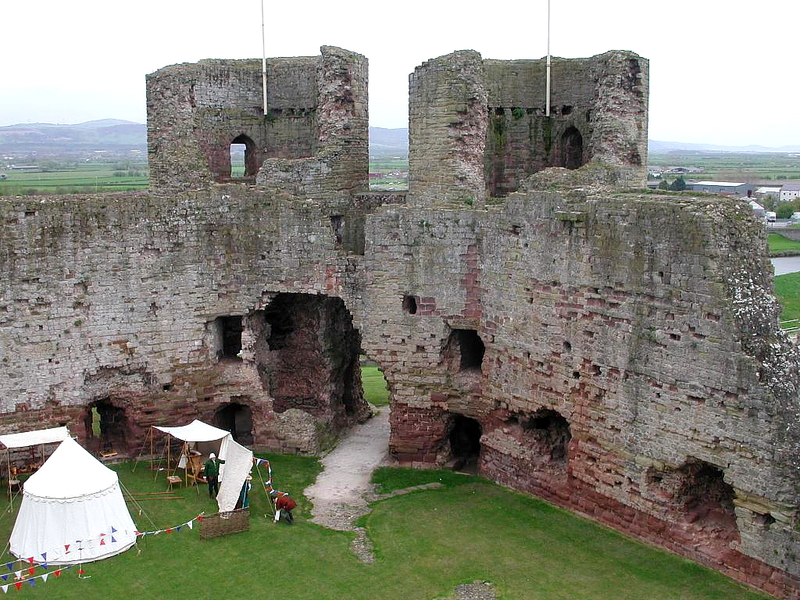 Edward I also replaced the bridge, probably damaged during the Welsh campaign, and made strenuous but unsuccessful efforts to have the episcopal seat of St Asaph removed to Rhuddlan. The later history of the site was less eventful. The castle came under attack in the Welsh rising of 1294, and again in the Glyndwr rising of 1400, when the town was badly damaged but the castle held out. 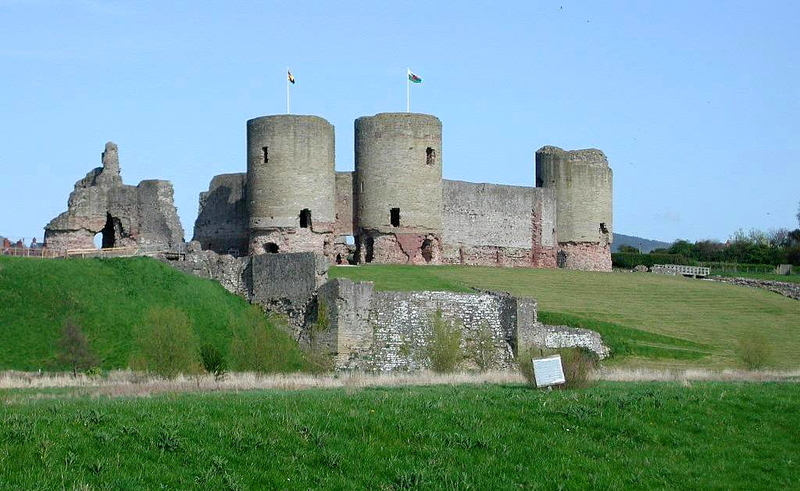 Rhuddlan was in Royalist hands during the Civil War, until forced to capitulate in 1646. In 1648 it was partially demolished to prevent its further use. 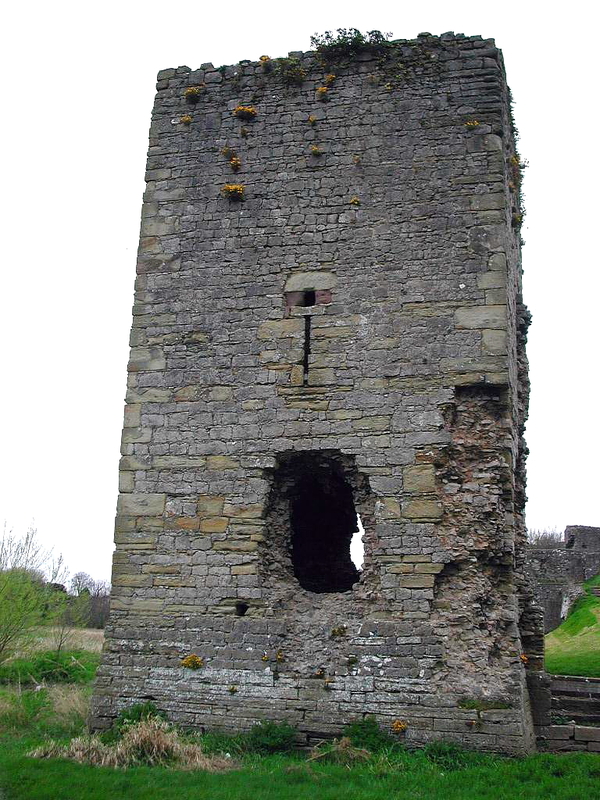 Below (2): close-up of the greatly-ruined East Gatehouse. Here modern stairs to the castle wall walk. 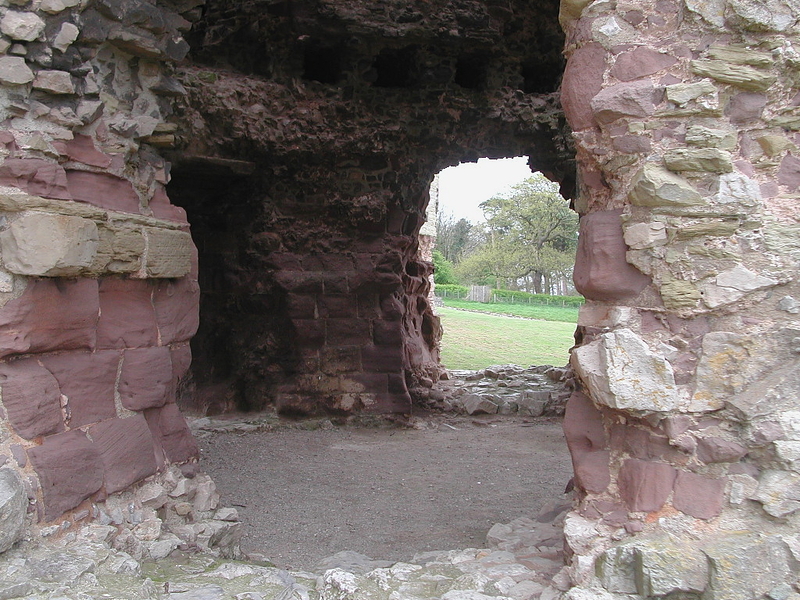 Below: interior view of the Western Gatehouse taken from the castle wall walk. 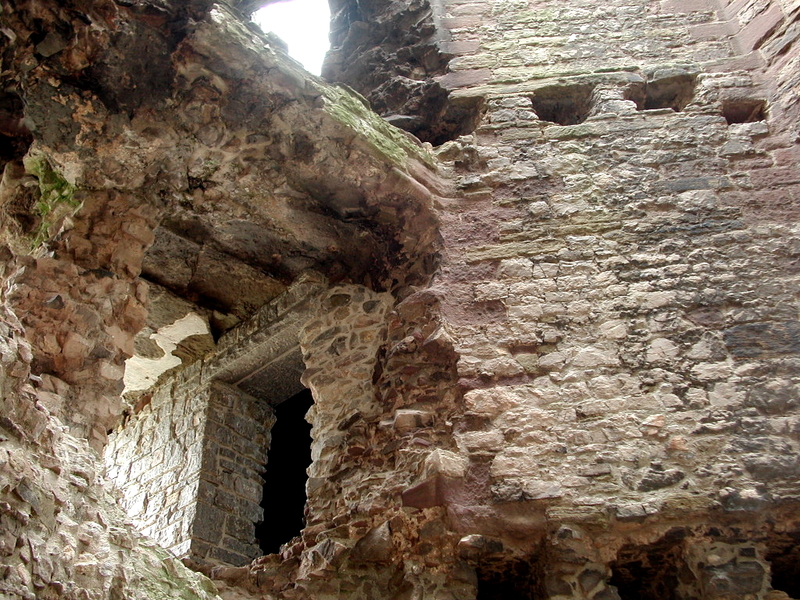 Below: additional view of the inner ward from the gatehouse towards the North Tower. 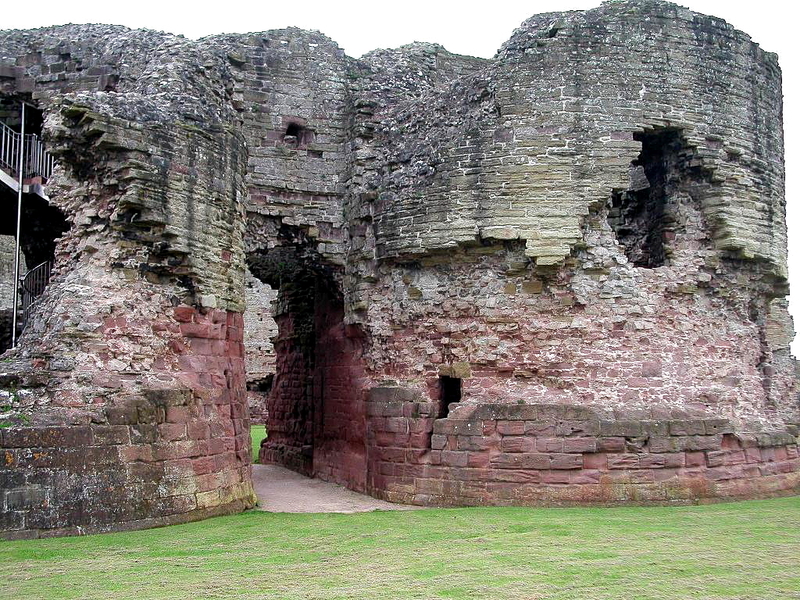 Below: view of the outer curtain wall below the town gate or main castle entrance. Below: a section of the castle's dry moat near the North Tower. 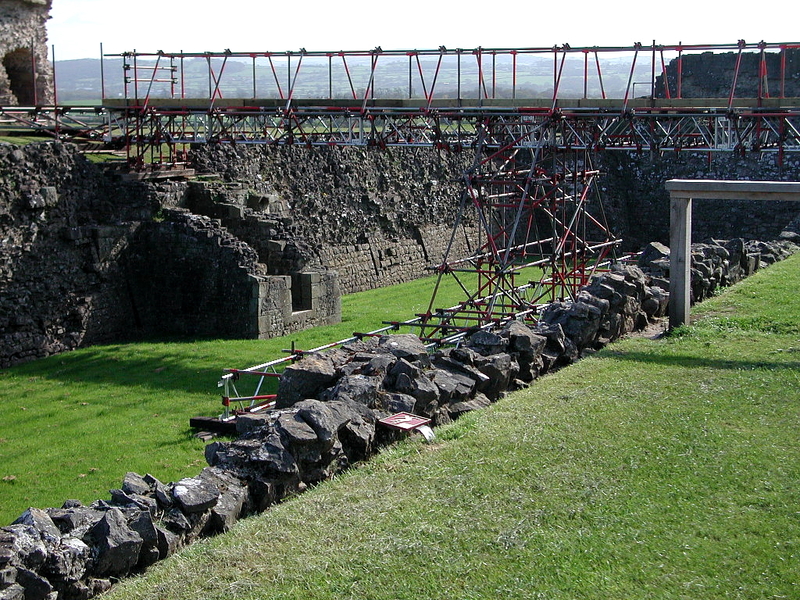 Below: a surviving section of curtain wall from the Outer Ward, with the dry moat beyond. Below: view of the South Tower & site of Friary Gate from the car park. Below (1): two views of the Dock Gate & Gillott's Tower along the river wall. Below: close up of an arrowloop in the castle's curtain wall.